Dining chair cushions can create that polished look for your dining area decor. Dining wicker replacement cushions are a simple way to change the style of your furniture without having to purchase a new set. 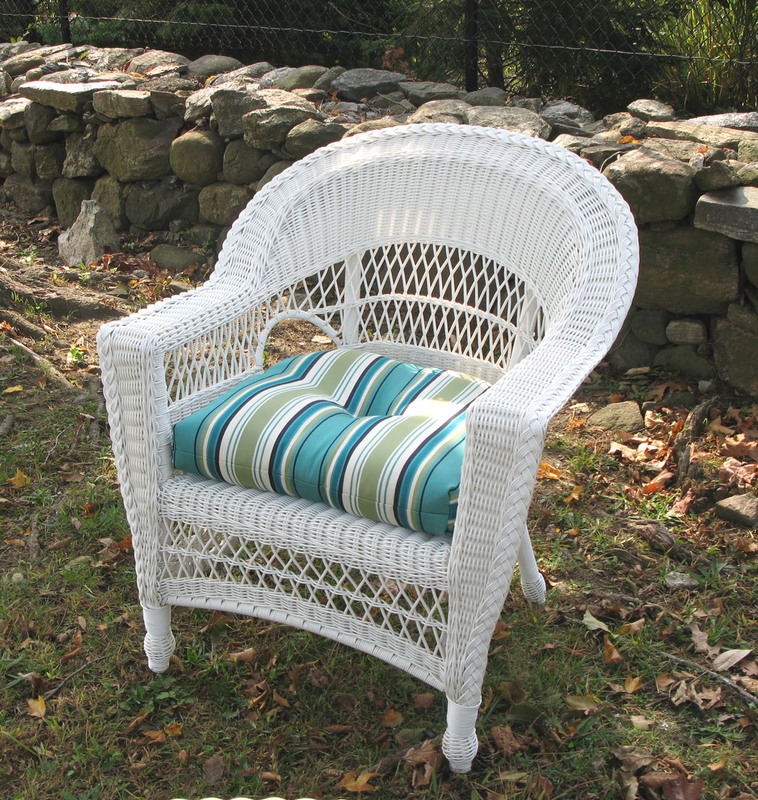 With plenty of fabrics to choose from, start your chair cushion makeover today! Do you have dining room chairs that you absolutely love that are getting dirtier by the day? If you are in need of replacement dining chair cushions then you’ve come to the right spot. Here at Wicker Paradise we help you transform your dining chairs back to their former glory through our wide variety of dining chair cushions. From geometric patterns to solid color cushions, we have it all. Your dining room should be a place where your entire family relaxes. There should never be any fret over whether your chairs are in decent enough shape to entertain. Now you don’t have to worry about that ever again! Purchase our dining chair cushions and keep your patio furniture in wicker clean and comfortable for all of your guests. Whether you have a 12 piece dining room set or a small kitchen table, we have as many styles as you can imagine available for you to choose from. We carry a large selection of fabrics with over 120 outdoor fabrics included. Name brands are also an active part of our collection and retain much of the fabrics we carry. If you are looking for a deal, then check out some of our Lloyd Flanders Collection of replacement cushions available for discounted prices. All of our cushions are made from the highest quality products available, so you can be confident what you purchase from us is the best on the market today. Instead of purchasing an entirely new set of dining room chairs you can now simply keep what you love and replace the cushions! Check out collection of fabrics to discover the right fit for your dining room.